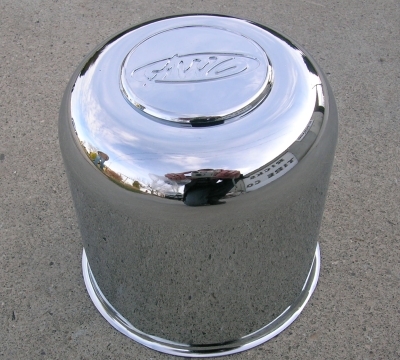 4.25 AWC Chrome Center Cap with removable end for easy greasing. "AWC" Lettering on the face of the cap. I haven't used these in the lube capacity seeing hoe I just put them on, but they fit and look good.